ST. LOUIS—Days before the opening of the exhibit hall at Wonder Con in Anaheim, Lion Forge reveals a delightfully original YA graphic novel under its Roar banner from Glint series writer, Samuel Sattin and co-created by artist Jen Hickman! In the village of Bezkamp, laws, land, rituals, and warriors are sacred. The written word is banished. Nem, son of one of Bezkamp’s strongest warriors, shows no signs of fire or strength. Forced to follow in his father’s footsteps, Nem must venture beyond their village walls in order to save land from being corrupted by the dangerous and toxic Crig beasts. As Nem begins to see more of their planet, he’ll begin to uncover the truth behind the village’s lies and start to fight for truth. 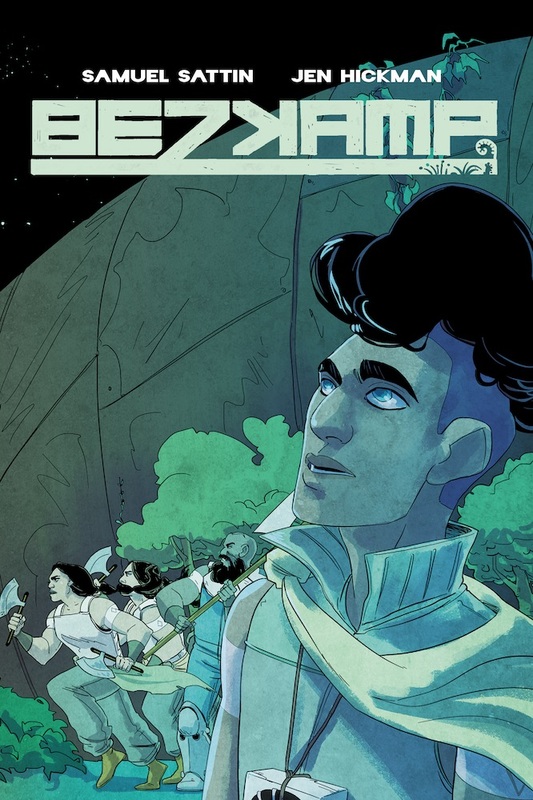 Bezkamp is an all-new graphic novel with a fun and original concept sure to excite readers young and old, to be released in October of 2019 at finer comic book shops and bookstores everywhere! Look for more news and info in the coming months!